AgraKepak, a worldwide export and trading division of Kepak Group, has been named Food & Beverage Exporter of the Year Award at the Asia Matters Business Awards. The Asia Matters Business Awards recognise Irish companies who have achieved strategic success in Asia and Asian companies making a unique contribution to Ireland. In selecting the winners, judges looked for evidence of an innovative and well executed Asia specific strategic approach with clear business results. AgraKepak’s award win comes after more than a decade of significant export milestones and an announcement in May that the business has signed a five-year distribution contract valued at €35m with China-based, food company Esen Agro Group. Left to right – Gerry Martin AgraKepak, Kevin Ruane MD AgraKepak, Stephen Keating Kepak Group, John Farrell AgraKepak. In 2005, AgraKepak became one of the first companies to begin collecting a full inventory of by-products from meat factories all over Ireland that export to Asian markets. In 2016, AgraKepak opened its first commercial office in Shanghai, China. In 2017, Agrakepak (Shanghai）Limited became an officially registered meat importer in China and acquired its own import licenses as well as a food distribution license. This resulted in the local Chinese team expanding to a total of five people. In 2017, Agrakepak launched the first version of our bespoke trading and CRM system ‘AgraXchange’ to service customers and suppliers. Over the past year, two of AgraKepak’s parent company sites – Kepak Clonee and McCarren Meats (Kepak Cavan) – were approved for exports to China. In May 2018, AgraKepak signed a five-year distribution contract valued at €35m with China-based, food company Esen Agro Group. AgraKepak specialises in supplying meat and fish products to markets outside the European Union and have been doing business in China and Far East and South East Asia for over a decade. 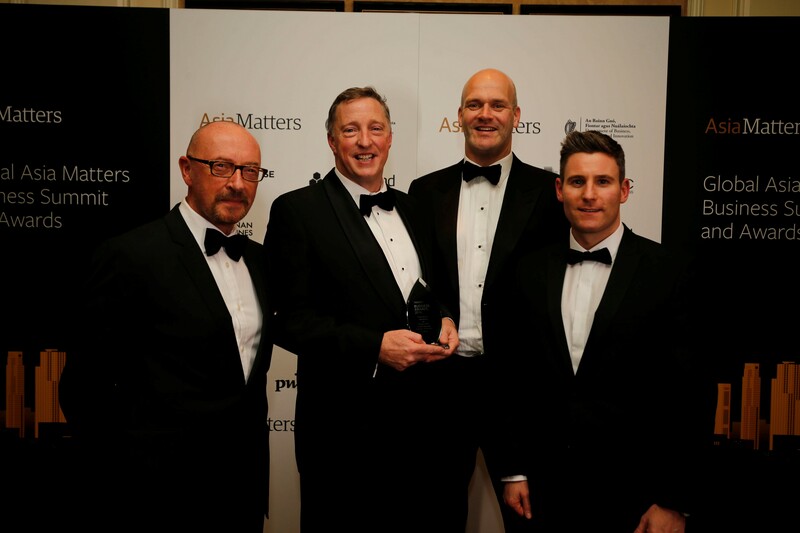 It was named Food & Beverage Exporter of the Year at Asia Matters Business Awards Winners of the Award at a Gala Dinner hosted by Grainne Seoige on 19 November 2018 at the Intercontinental Hotel, Ballsbridge.